FEATURES We’ve designed your isteam to give you a portable yet powerful steaming experience. 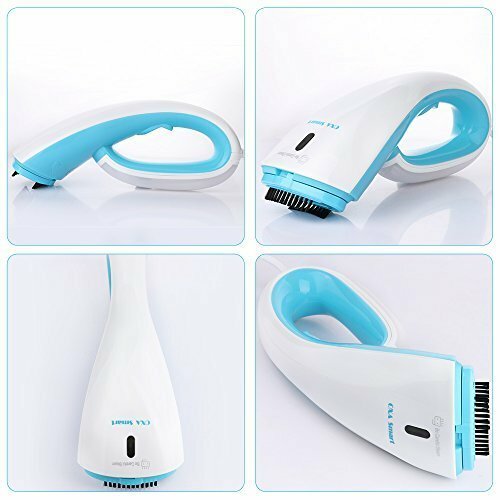 Some of the features that you will enjoy with this product include: New nozzle design that distributes steam powerfully and consistently to remove stubborn wrinkles. Compact design that makes the isteam easily to store and travel with Safe to use on all types of fabric. 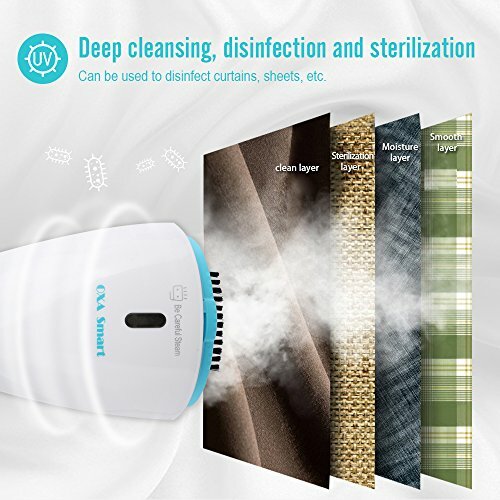 Heats quickly to emit wrinkle-busting steam. Includes an automatic shut-off feature for safety protection when the unit gets too hot or too low on water level. High-captivity, easy fill water tank that lasts for 10 minutes of continuous steaming. 2 Year Warranty HOW TO OPERATE YOUR ISTEAM 1. Unscrew the nozzle head, fill the tank with cold water up to the desired level, never exceed the maximum level. When finishing, lock the head back on. 2. Turn ON/OFF switch to ON position. The switch light indicates the steamer is on. 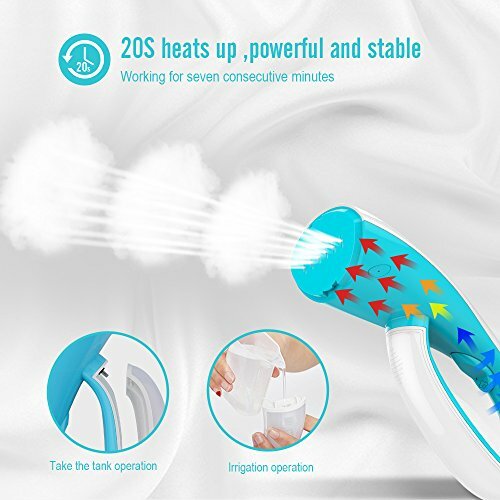 The steamer will emit steam from a nozzle in 1 minute. 3. When the unit runs out of the water, it will reset itself automatically to ensure your safety while leaving the indicator light ON. 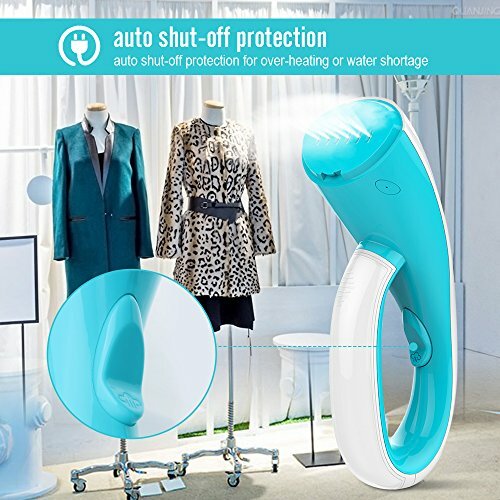 If you wish to continue your steaming session, turn ON/OFF switch to the OFF position, refill the water tank by following step 1 again, then turn ON/OFF switch to ON position. 4. When finished, place the ON/OFF switch in the OFF position and remove the plug carefully from the outlet. NOTE: Never turn the unit upside down. Your steamer should never be tilted past a 45-degree angle. 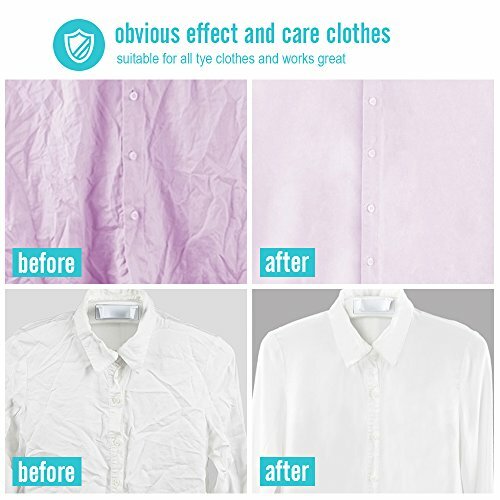 For perfect use – please use a hanger to hang your clothes while steaming. 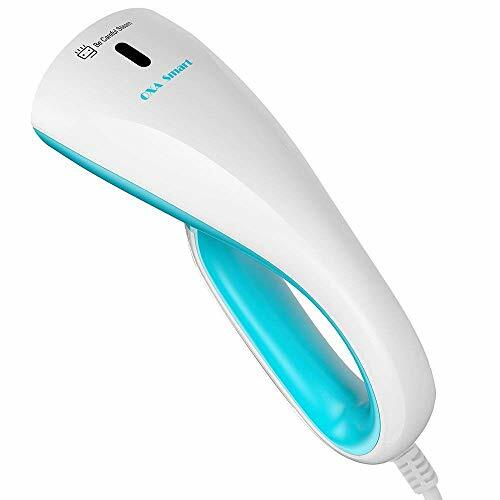 Specifications: Dimensions: 8″x5.5″x3.2″ (inches) Weight: 1.1 pounds Power: AC 120V, 60HZ, 700W User manual includes【SUITABLE FOR ALL TYPE OF CLOTHES】This clothes steamer can clean all the kinds of clothes you wear in your daily life. Materials it is suitable for include, organic fabric, silk, cotton, nylon blend, wool, linen, polyester blend and embroidery. 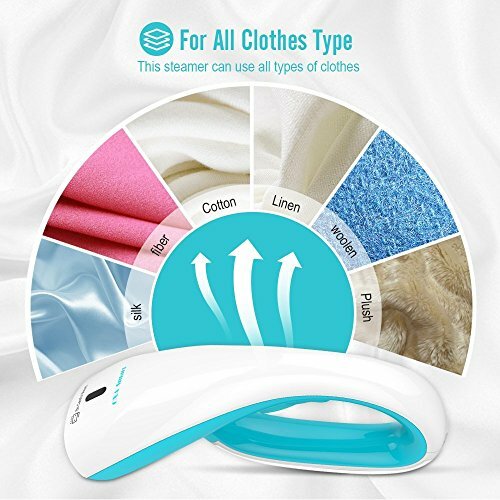 Get one steamer and clean your entire wardrobe.